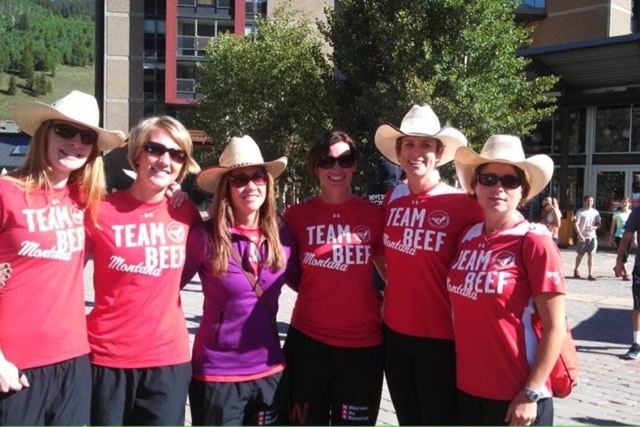 Team Beef Montana/ The Montana Running Ranchers at the start of the Ragnar Colorado. We were so excited to get started! I already posted how my first leg went. If you don't want to read the whole recap..in a word it was perfect. Leg 2 was my middle of the night leg and also my shortest leg at 4.6 miles. I started my run about 2:30 in the morning and my only plan was not to run too fast. 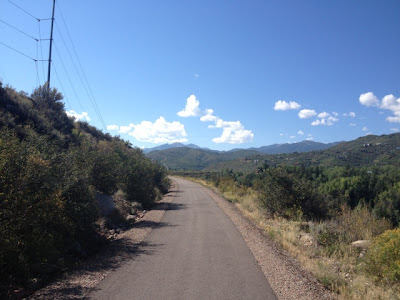 Since this was a downhill leg it was pretty easy, but then I took a wrong turn somewhere. Actually I just followed the runner in front of me. I thought maybe things weren't looking right since we were supposed to be on a trail and suddenly we were on a highway type road. It wasn't too long before two other runners came at me and said they were sure we were going the wrong way. Sure enough we could see runners down below us so we back tracked till we found the trail again. By the time I made it into the exchange my Garmin said 5.68 miles with an average pace of 7.25. Not sure if I actually ran this far or farther since I kept losing satellite reception. I managed to catch, some good Zzzs at one of the exchanges and was feeling sort of refreshed for my last leg which was also my hardest leg. 10.4 miles up, up, down and up. The first almost 9 miles were pretty gradual uphill but having already ran 13 ish miles at a pretty good clip downhill I could feel all the uphill. Mentally I was ready for it, phyiscally I was pretty tired. Somewhere along leg 34. It was all very beautiful. The first 5 miles I did pretty good with 9 minute miles. After that I started walking about 30 seconds every mile. At around 8 or so miles I could see the exchange. The only problem was it was on the other side of the Grand Canyon's little sister (that is what it looked like to my very tired legs!). Here is a selfie starting down the big hill. I was too exhausted to take an after picture, but this is better really. To get the exchange I had to plunge down the side of the mountain and then scale back up the other side. That last major hill did me in. I was so glad to get to the top and hand off the baton. My Garmin said 10.77 miles when I finished. I think I did somewhere in the range of 23.4 miles during the whole Ragnar. It was a tough three legs, but strangely I would do them all again. I loved all the girls in my van. and our after photo. We ended up 8th out of 205 team and 2nd in our division. Boom! Pretty much can't wait to do another. Post race thoughts. My right quad felt AMAZING. Better than it has in 4 months. I have a theory about this, but will post about that later this week. My calves and hammies are a little sore today, but not in a bad way. 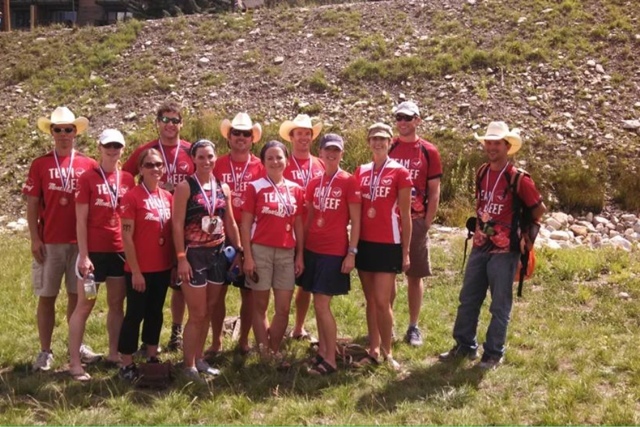 Ragnar Colorado was so much fun and I am already looking forward to the next relay with Team Beef Montana. So grateful to all of our amazing sponsors who support us. We had fun group of runners and I hope they all come back for another relay too. You guys did awesome! Glad you had such a great time! 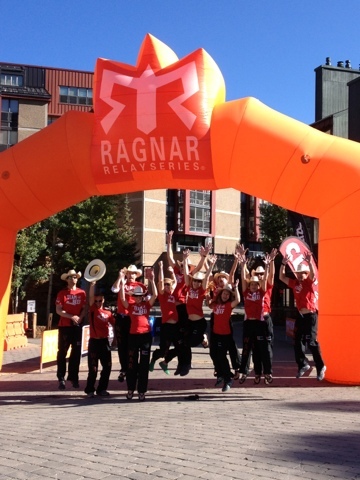 Congrats on a great Ragnar, sounds like a great weekend all around!! Wow! Boom indeed! Sounds like it was awesome! Congrats! WHOOP! CONGRATS!! I did Ragnar NW Passage, I know how you feel!! Wow, your team did great! Congratulations and I'm so glad you had a good time. It's a beautiful course--my husband loved it too and now he wants to do two relays next year. Great job! Ragnars always look so incredible! 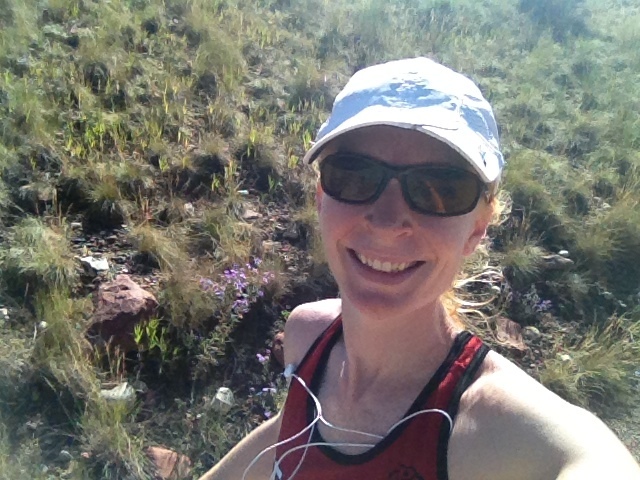 It was a great weekend - and a real treat to run with such a great friend. Hugs and ready for another!!!!! Great job! Your team kicked some serious a#$. Glad your quad did well. I just did Hood to Coast two weeks ago and it was great. Best one yet. Colorado would be an amazing place to do a ragnar so beautiful! *high five for healthy legs! A relay looks like so much fun, I'd love to do one one day. Glad you did so well and your that quad enjoyed it too! Great job! Man, Michael and I have gotta do one of those team race, they look like a blast! Team BEEF!!! That last leg sounds seriously rough, but you did awesome! Way to go! And so glad the quad is behaving itself, finally! I so want to do one of these big relay races! They look like so much fun...but running at 2:30 in the morning in the dark, doesn't sound great. Congrats on a great race and nice cumulative mileage!